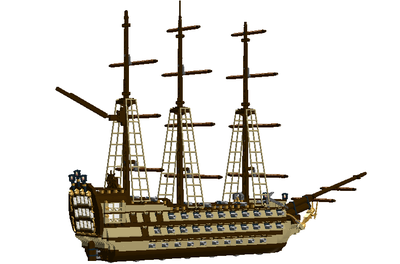 LEGO IDEAS - Product Ideas - Imperial Brigantine "Dolphin"
This is my Imperial 8-gun, two masted, squared rigged Brigantine called the "Dolphin". My latest model in my fleet of ships features brick-built sails, masts and rigging, as well as a crow's nest. Below deck there are 8 cannons as well as plenty of munitions. It also has a detailed helm and captain's quarters. 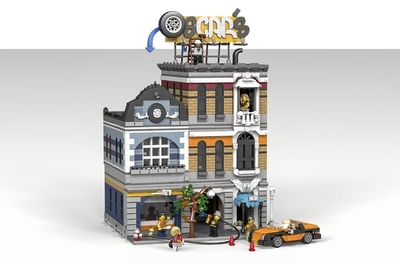 The model would come with 8 minifigures. The Captain, (in the white hat with blue plume), the Quartermaster, (in the white tri-corner hat with red plume), and 6 seamen. My Imperial Brigantine is built with 2508 pieces. That piece count could be brought down by about a thousand if official Lego sails are used. 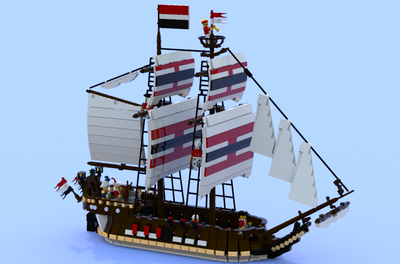 I decided to go all out for the presentation of this model though, so that is why I completely brick built the sails. 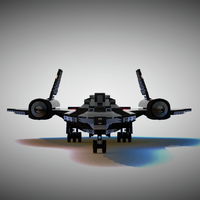 If you like what you see and want to see more models like this, then please click that blue support button! Also, don't forget to follow and share it with all your friends! Thank you all in advance and brick on! 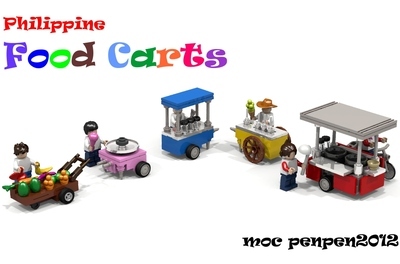 Don't forget to check out my other projects as well!